The Jammu and Kashmir government had appointed the liaison officers (LOs) in November last year at regions across India, including Delhi-NCR-Meerut, Jaipur-Bhopal, Chandigarh, Aligarh, Bengaluru and Pune, in order to coordinate with students from the state, he said. 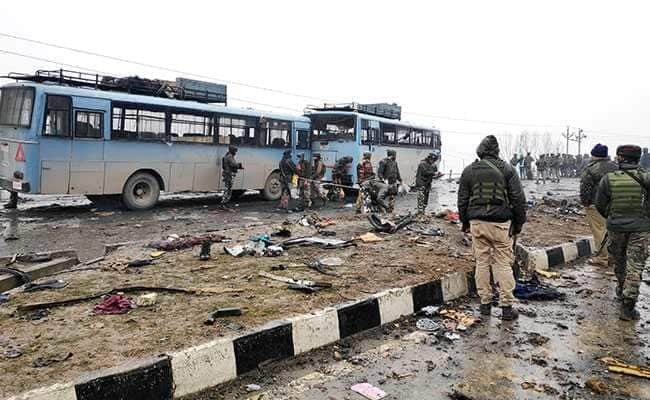 The Jammu and Kashmir government Sunday asked its liaison officers across the country to ensure safety of Jammu and Kashmir students studying in other states following reports of alleged harassment after the Pulwama terror attack, an official spokesman said. The officers are deputed in six regions of the country and are supposed to coordinate with college authorities and local administration of their areas to resolve any issues, the spokesman said. The state government had appointed the liaison officers (LOs) in November last year at regions across India, including Delhi-NCR-Meerut, Jaipur-Bhopal, Chandigarh, Aligarh, Bengaluru and Pune, in order to coordinate with students from the state, he said. The students in these regions have been advised to get in touch with the LOs in case they face any problem. "Since, these LOs have already been in place for last three months, so all of them have already circulated their respective contact numbers to the students and colleges of these regions and some of them have already met many of the college authorities for building better coordination," the government spokesman said here. There have been media reports of alleged "mischievous" chats on an instant-messaging mobile app by some people and "alleged rumours of some landlords asking their tenant students to vacate the houses, resulting in a sense of insecurity and fear in the students," he said. The LOs have been taking necessary steps in the last two days to help students. Control rooms and helplines have been set up at the Kashmir Divisional Commissioner's office. Responding to the reports, the liaison officers got in touch with students, college authorities and local administrations to ensure the students'' safety, the spokesman said. In a university in Haryana, "104 students who were staying in PGs have been accommodated in three hostels of the university", he said. The hostels are well guarded by police as confirmed by the local Station House Officer (SHO). This region is being coordinated by LO of Chandigarh region, the spokesman said. The spokesman said a lot of calls have been received from students at Dehradun based colleges and the Delhi-NCR LO is looking into it. "Some of the students from Dehradun reached Delhi on Saturday evening and they have been accommodated in the J-K House at Chanakyapuri," he said. "Further around 100 students from Sailakui in Dehradun have gathered in Rampur and the SHO and Circle Officer have assured their safety and security at that place," the spokesman said. The local administration and college authorities of all the locations have given full assurance of complete support, help and safety of the students.